What feeling do you get when you think of your sales team? When you think about the way they do what they do, what comes to mind? Hopefully, you have nothing but good things to say. They’re hitting all their numbers, benchmarking against the best in the industry, and bringing in new business at record rates. But is that your reality? A lot of business owners look at their sales team and don’t know what to do with them or how to train them. They mean well, work hard, and are generally productive, but salespeople all over the world are still leaving a lot of money on the table. Now more than ever, customers are demanding more and sales reps are giving less. People want an experience that dazzles them, not just a product. If your sales reps aren’t delivering a genuine, relevant, educational, no-BS experience prospects will put up their guards. Unhappy customers will go elsewhere and find what they’re looking for in one of your competitors. Not just your customers - your own people too. Unless they put up the right numbers, unsuccessful salespeople won't be employed for long. So you need to bring your team up to par and fix what’s broken or your business will continue to be a revolving door. How’s your attrition rate (customers and employees)? Do your reps cherry-pick the best leads or only call on existing accounts? How many voicemails did your reps leave last week that got returned? How about your seasoned reps? Are they being trained, equipped, (and appreciated)? What does your training cement in the brain of each new hire? 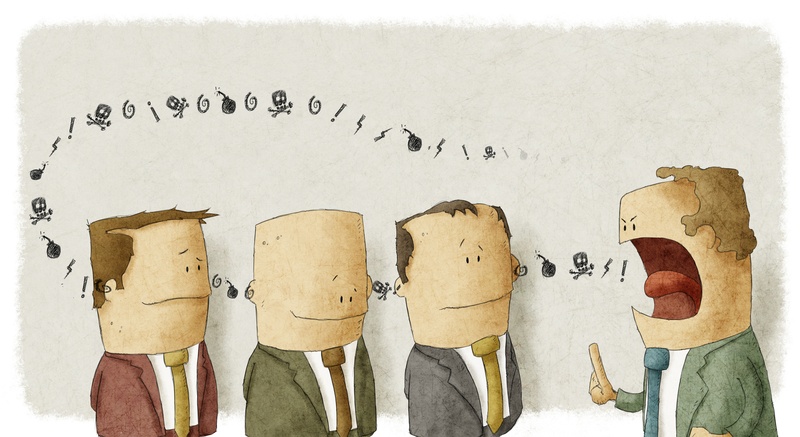 Are your reps perceived as thought leaders in your industry? Do your managers invest in your sales reps, or is everyone just winging it? Do you have benchmarks, goals, metrics, and quotas that everybody has memorized? Are your reps adding value to what you do or leaving money on the table? Does the sales team complain about the quality of leads generated by marketing? Sound familiar? If you’re stuck, it’s okay - you look like the vast majority of companies out there. You just need to get unstuck. And to do that something needs to change. Probably a lot of somethings. Business as usual isn’t good for business. When the world changes, your sales team needs to change with it. So in the interest of helping business owners evolve their sales organization, here are four things your sales team isn’t doing that may be killing your sales (and what to do about them). 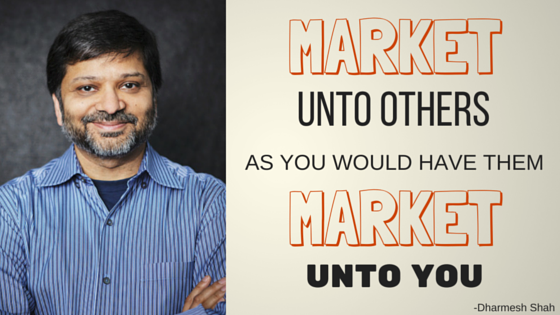 The chief rule of the new marketing (a.k.a. inbound marketing) is that you should add value to the system before you extract it. You don’t want to be a taker only. You want to be a giver. You don't like companies who leech and never contribute, so why would your customer? You can't afford to ignore Sales 2.0. Your sales team has to pay attention to the world they live in. They have to take a step back, look around, and know who they’re selling to. Consumers are changing and they need to adapt and change with them. People crave value, so give it to them. People (especially millennials) are increasingly loyal to companies with a purpose, so let them know why you exist. If you’re still using jingles, gimmicks, and insider lingo in your brand messaging (or sales scripts), it's time to change. People want to be treated like people, not a metric. Same goes for social media marketing. Is your sales team using social media as a way to research and connect with customers and put their finger on the pulse of the market? Or are they only using it as an avenue for “selling” and merely interested in a transaction? Are they creating target accounts so they can intentionally go after select personas with specific messaging? Or are they using the same scripts and strategies for everyone regardless of their interests and personalities? Sales 1.0 is blind cold calling (vs. contacting warm leads). It’s interrupting people with ads, not attracting them with value. It’s casting a wide net and hoping (praying?) you snag someone instead of prospecting and having premeditated sales strategies for every persona. So ask yourself- how are you doing it? Is it time for a change in thinking? You'd think sales reps would be the first to jump on new technologies to help them become more efficient and productive - and thus more successful. Not so much. One of the most underused (or misused) tools at your disposal is email. Sales teams still aren't doing it effectively or in some cases, at all. Email isn’t dead, I assure you. And if you’re one of those “we don’t use email” companies, you’re missing out on a lot of business. Email is still used by millions of people every day to nurture leads, sell products, send videos to your customers showing them how to do something (pro tip: use Jing) and to build brand loyalty. Boomerang automates a lot of the grunt work so your salespeople will never forget to send or reply to someone. Inbox Pause stops email from showing up in your inbox until you're ready for it, so you and your team can work distraction free. Gmail Offline lets you use Gmail even if you don’t have an internet connection. Yep, this is really a thing. ContactMonkey: This plugin lets you see if your email was opened, a link was clicked, and other good stuff. Awesome to have for anyone doing sales. Sidekick for Business: Everything from email intelligence to automated follow-up sequences and reporting built into one tool. 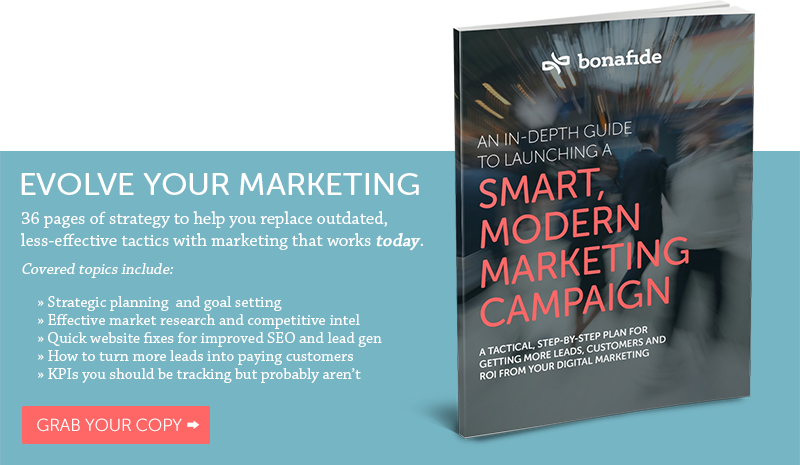 Best part is it integrates into Hubspot's all-in-one marketing software too. Sanebox: Sanebox lets you keep your sanity by splitting up your inbox into categories so you don't have to play the sifting game every time you login. Just cleans things up a bit. mxHero: This is a multi-faceted plugin that lets you do things like schedule emails, have messages self-destruct (very cool), send receipts, reminders, and all kinds of cool stuff. It’s time to pay more attention to email. Sure you might need some help figuring it all out, but getting educated on how to use email effectively is far more cost effective for long-term sustainable growth than choosing not to use it at all. What does that say about your business? You might not like this but it tells the customer that you don’t care. It says you’re status quo, outdated, and irrelevant. Stuck in the 90’s. So what’s the alternative? Use real pics of your team, your office, your clients - you get the picture. People want to know that there’s a real person on the other side of the conversation, so show them. It creates a personal connection and builds rapport. If you have to use stock photos make sure it’s from sites like these. Put some thought into your images and how you use them. Stand out - you can’t afford to be status quo. When you put effort into what you do, people notice. It shows them you care and that breeds trust. And when they trust you, they'll do business with you. What does your outreach process look like? Do you have personas identified? Do you know who you’re marketing to and how to follow up on leads - even the not-so-warm ones? Does your sales team use a CRM (like Salesforce or HubSpot CRM) to keep track of prospects, leads and customers? Or is everyone just piecing together a strategy as they go? How are you conducting research (if you are at all)? Did you know that LinkedIn is a goldmine for researching your market and doing B2B. You can connect, chat, message, and gain a lot of information just from spending 20 or 30 minutes a day sifting through it. When you know these things, you can position yourself accordingly, build an actual relationship, and swoop in for the sale. Crystal Knows- this website lets you look up anyone with an email address and figure out the best way to talk to them. It's kind of creepy how accurate it is but super helpful for prospecting. Charlie App- if you’re an iPhone user, Charlie App helps you with first impressions and introductions by giving you suggested talking points to use for certain people before you even meet them. Very cool. Rapportive- this is a Chrome extension for Gmail that shows you the LinkedIn profile of the person you’re emailing with as you have your email open. 2016 will be the year that salespeople realize there is a better way to sell - better for the buyer and better for the seller. Some will figure out how to leverage the internet and technology to efficiently reach the right prospects at the right time. When they reach them, they’ll use that same technology to have the conversations that are most relevant to that specific prospect. These salespeople will excel. The rest will begin to fail because they’ll struggle to add value for their more informed, more empowered buyers. 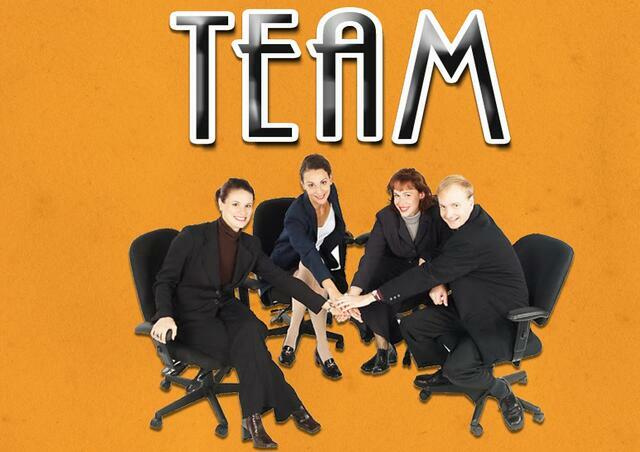 You've probably heard that acronym for TEAM before right? Well, it’s true. So is your sales team working together to achieve common goals and help each other or are they working in silos just doing their own thing? If so, it has to stop. They need to come together, and those who refuse to need to be working somewhere else. All they’re doing is dragging your business (and your profit margins) down. If they’re going to stick around, they have to be working with the marketing team to create a seamless and pleasant experience for the customer. If they don’t, everyone loses. If the marketing team is handing off leads that aren't qualified or ready to buy, it frustrates the sales team. But if the leads are ready and the salesperson doesn’t know what to do with them, the marketing team will hit a wall because their leads aren’t converting. And in both scenarios- the customer is becoming more and more unimpressed with your company. Your team needs to work together, period. This means working as one team to define MQLs, SQLs, processes, scripts...everything. Having a shared understanding of what a good lead is (as opposed to a not so good one) and when, where, and exactly how the handoff from marketing to sales occurs makes everyone’s jobs easier, and it also makes the customer a raving fan. Your marketing and sales teams have to be following the same game plan if you want to win. Lastly (and this isn’t a shocker I hope): your sales team needs to actually listen to their prospects. Gary Vaynerchuk said, “I think of customer service as an offense and not a defense,” and so should you. Customer service isn’t something you employ when things go wrong, but something you perfect, craft, and hone continually to make sure things go right. Today’s consumers are coming to you already educated - about ¾ of the way through the sales process before they’ve even talked to you. They’ve done the research online and are even pre-qualifying themselves. So a lot of times a hard sell isn't even necessary. But you’ll never know if it is or isn’t when you’re not listening to what they're saying to you. So what’s a sales team to do? Listen more & talk less- your customer is a person with a story who has something to say to you. So let them say it. When you give people a platform to be heard and acknowledge them they’ll respect you for it and in turn listen to you. So let ‘em talk. Ask more & tell less- customers don’t respond well to being ordered around or pushed into something they don’t feel comfortable with. Do you? Your salespeople won’t succeed if they act like drill sergeants. Instead they need to act like Colombo and ask questions. When you ask questions it does two things: (1) allows your customer to be heard and (2) allows your salespeople to learn more about their customer so they can suggest appropriate solutions. Can you say winning? Educate the prospect- A lot of salespeople are only interested in closing. And they should be. But in the hustle to the close they can leave the prospect feeling anxious, fearful, and hesitant: Am I getting a good deal? Is this something I should really be doing? Am I just being “sold to?” These are questions an uneducated customer plays over and over in their head during the sales cycle if they’re not informed. So instead of focusing on selling, try showing. Educate them. Give them all the information they need...and more. Show them how your product or service works. Explain, demonstrate, and make them see the solution for themselves. When they see your [product/service] in action and know everything about it, now they’re ready to make a well-informed, educated decision. When you make certain that you and your team market unto others as you would have them market unto yourself, add value to the marketplace, pay attention to your customers, take advantage of slick new technology, and listen to your prospect, you can’t go wrong. Sure some people are still going to pass you over, and some people might even speak ill of you, but it doesn't matter. You only need to capture a certain percentage of the market to be wildly successful. [When you’re doing what you do best]...1/3 will love you, 1/3 will hate you, and 1/3 won’t care. Which means you should do what you love. You should do the best you can. You should try to do the things that will help you improve every day. And when bad comments come, just put them in that 1/3 bucket where it belongs. ...the market is waiting for you.